Now you can read your Friends Personal Chat Of WhatsApp on your mobile. You must be very curious of your friends personal Conversation specially of your girlfriend. So here is an Awesome Whatsapp Trick through which you can read your Friends Personal Chat Of WhatsApp. This article is just for Education purpose in case you lost your Chat or you want to move your conversation to other mobile. Reading your Friends Chat is not Good and it’s bad Habit but in case you want to know your friends personal Chat for any reason, you Just take your friends mobile for 5 Minutes and follow the below steps. 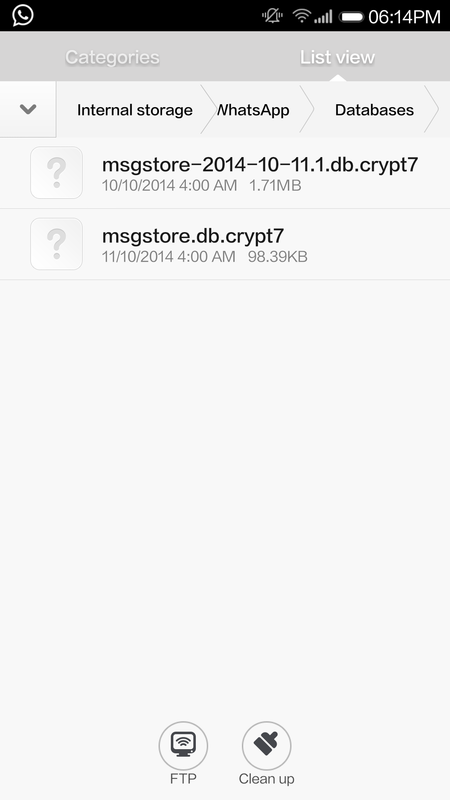 STEP 3:-Now Send that msgstore-yyyy-mm-dd.1.db.crypt7 file to your Phone or PC (Using Bluetooth or Data cable). STEP 4:-Visit Recovermessages.com and upload msgstore-yyyy-mm-dd.1.db.crypt7 to get your friend’s WhatsApp conversation. This is Just for Education Purpose, Just use it in case of emergency. If you know any other WhatsApp tricks kindly share with us through your comments.